The New Art of Cooking: a modern guide to preparing and styling delicious food by Frankie Unsworth. A few months ago, I was delighted to discover that Frankie Unsworth wrote a book. It made perfect sense to me, after following her work for some time and witnessing the magic in every photo and recipe she creates. It seemed very natural — there is a humble, understated elegance in Frankie’s style that is unmistakable. 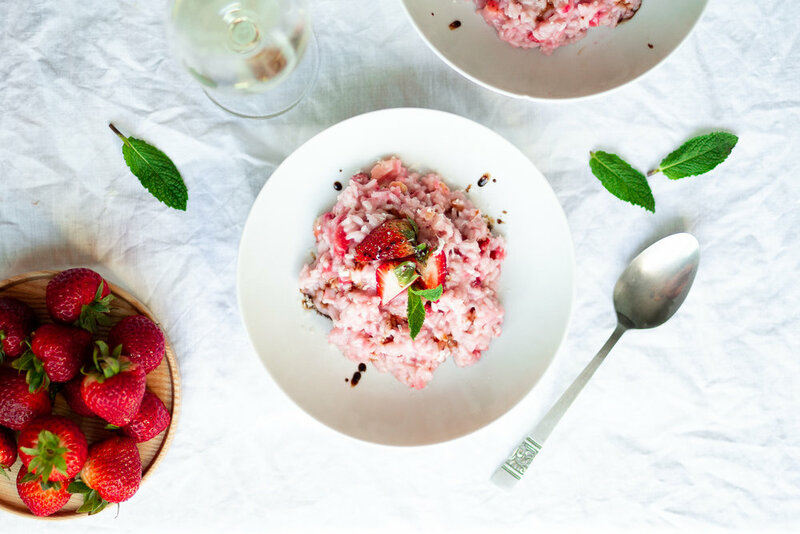 Strawberry risotto with grape must reduction, fresh mint, and white wine. Risotto alle fragole. "Come over for dinner and I'll cook for you", he says excitedly. Not knowing what to expect, we accept the offer and pencil a date and time into our calendar. Since I typically (and happily) cook for others, it gives me a thrill when someone else wants to do the same for me.